Colonial Oaks Assisted Living is part of Colonial Oaks Retirement Community, a continuing care campus that complements the active living lifestyle of the community. 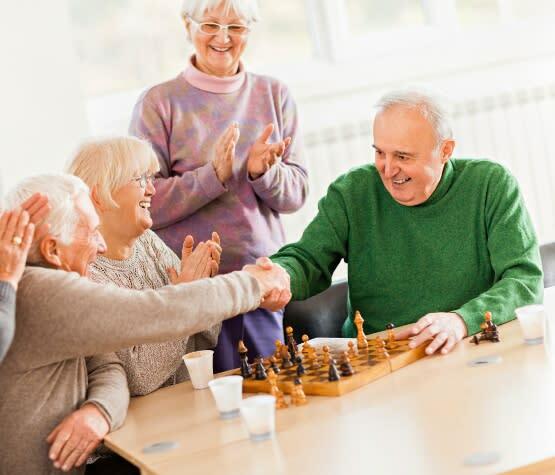 With skilled nursing and rehabilitation on-site, Colonial Oaks Assisted Living residents and families enjoy the peace of mind that comes with knowing that more healthcare options are available should they ever be needed. Our amenities are the special little touches that make Colonial Oaks different. Designed to make life stress-free, we take care of all life’s little worries while offering many opportunities to enhance daily living.